Earn up to 15,560 reward points. 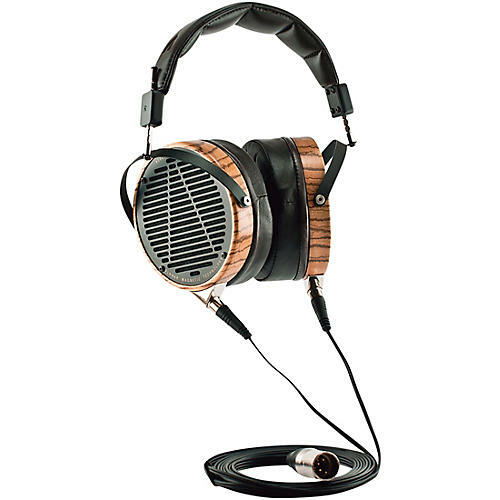 The LCD-3 is a time machine that puts you in the room with your favorite artists and musicians. It’s luxuriously spacious, with powerful bass, a rich and engaging midrange, and a top-end that draws you into the music. Its rich, vibrant sound has scale and authority derived from a deep, ambient soundstage with exciting detail and dynamics. The LCD-3 is said to be the best in the world and its natural timbre, especially through the midrange, has been described as a thing of beauty. Thoroughly engineered for long-term comfort and spacious, realistic sound—order soon.